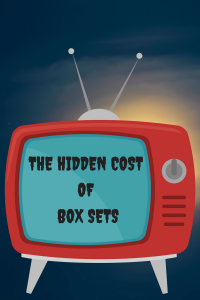 The hidden cost of binge-watching box sets. Have you noticed that your back’s been more stiff and achey than normal? Well, January’s not a great month for doing much – it’s too cold and you certainly didn’t have any spare cash to spend after Christmas. So, like so many others, you may have decided it was better to save money, stay in and binge-watch Narcos or Game of Thrones. But there is a hidden cost to this sort of hibernation that you should be aware of. It’s what I call Box-Set Syndrome. You’ll know when it strikes because you find it difficult to sit still or get comfortable, or you might start to regularly wake up with stiffness in your back that takes a while to free up. Why am I getting back pain? The reason for this is that you’ve spent so much time sitting on a squishy sofa that the discs and joints in your spine have become very compressed and the muscles in your back have started to become weaker through lack of use. This can lead to more severe problems like disc bulges and nerve damage which could give you more persistent back pain and sciatica. Sitting down for long periods without a break is a major reason for back pain and it’s often why people make an appointment to see an osteopath. You might be surprised to learn that back pain is the third most common reason people visit their GP. You may be lucky and not get back pain now, but too much sitting down may be a big contributing factor in you getting a bad back at some time in the future. It’s important not to underestimate the importance of keeping moving regularly. At its most basic, going for regular walks, making sure to swing your arms as you go, is probably the kindest thing you can do for your back as it gets the small joints and muscles of the spine moving. So, if you’ve noticed a little bit of stiffness creeping in to your back in the morning, it may simply be a question of saying no to the question, “…one more episode?”. « NEWS! Excited to be launching new app for our patients. All communication with and information provided to 1st Call Osteopaths is treated in the strictest confidence.